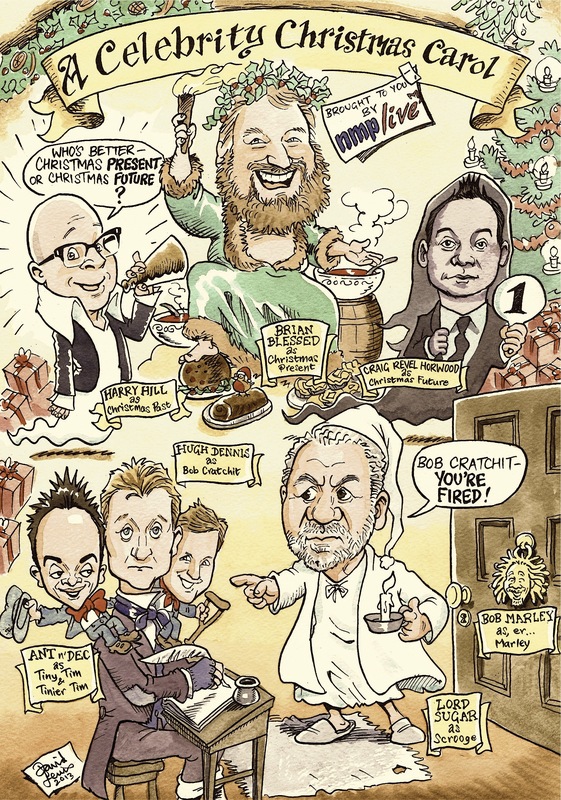 If you are looking for an entirely original, bespoke gift, David’s cartoons are the perfect solution. 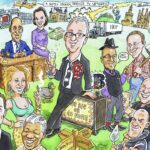 David has designed retirement gifts for Company Directors, portraits of Army Regiments and group caricatures of sports teams. Click on the individual images to open the gallery. 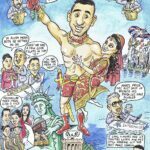 A cartoon commissioned by a friend of Amir Khan’s, as a wedding gift. A gift for a TV executive. That isn’t Obama, by the way, just a colleague who looks like him. 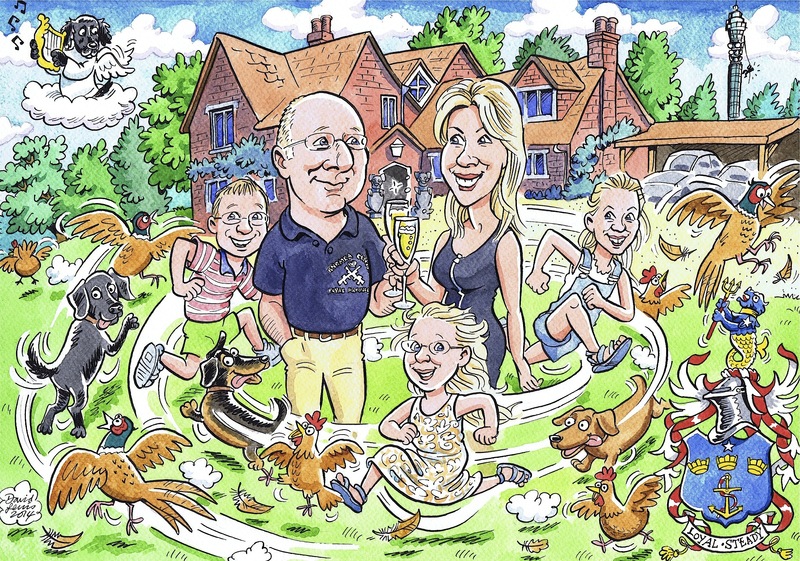 Cartoon to celebrate a property company’s anniversary. Thank you present for Sir Philip Green from some of his staff. If you’re thinking of a gift to celebrate a special person in your life, why not commission David to design a ‘Life Story Portrait’. These portraits reveal an entire life on a single artwork. David is particularly skilled at impersonating other styles of art, so if you would like to see your loved one in a Bayeux Tapestry scenario or your boss on a Greek vase design, just ask! 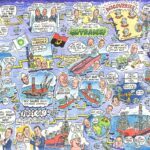 Cartoon to celebrate successful completion of a major BP project. 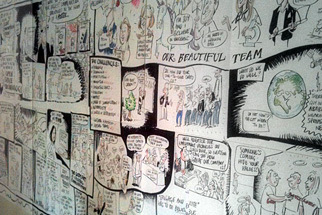 David is immensely versatile and can translate any of your visual ideas into a personal comic strip. 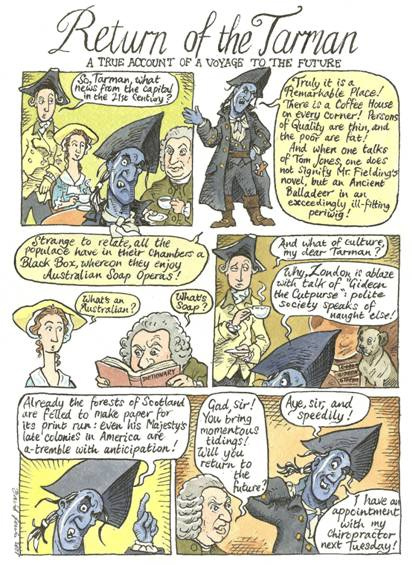 The comic strip below was commissioned by Linda Buckley-Archer, author of the Gideon Trilogy of novels. 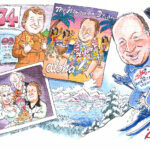 David also designs individual greetings cards for special occasions including company Christmas Cards. Please send me David's entertaining newsletter, “Distorted Vision”. 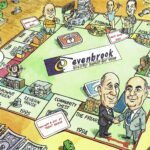 You'll be kept updated about latest posts including advice and information on cartooning and visual thinking. 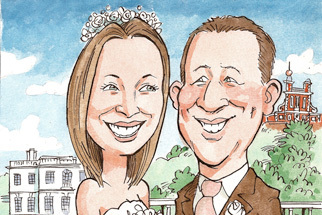 David has unrivalled experience of caricaturing on exhibition stands at Trade Shows and Industry Events. David offers a unique perspective via corporate visualisations, brainstorming and graphic recording. 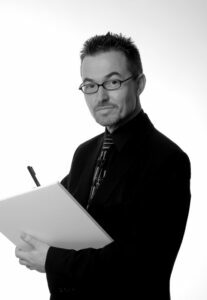 His clients value his unique ability to convey complex business ideas in a striking visual medium. 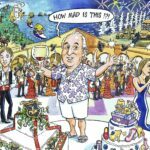 Whether you are hosting a corporate function, a wedding or a private party, David's lightning caricatures will keep your guests amazed and delighted.